Charles Brasch and Peter Soskice’s translations of the early twentieth century Russian poet Sergei Aleksandrovich Esenin were first published under the present title in 1970 in a chapbook described as “printed by several student hands at the Wai-te-ata Press, Department of English, Victoria University of Wellington”, with a cover by Robin White. New Zealand poet Brasch (1909–1973) travelled to Russia as a young man in 1934. After retiring from the editorship of the literary journal Landfall in 1966, he studied informally in the Russian department of the University of Otago. Peter Soskice (1919–1972), a lecturer there at the time, worked with Brasch to produce these beautiful, vivid translations. Esenin, one of the most widely read and loved of all Russian poets, was born in 1895 of a peasant family in the village of Konstantinovo, Ryazan Province, Central Russia, and died by his own hand in Leningrad on 28 December 1925. 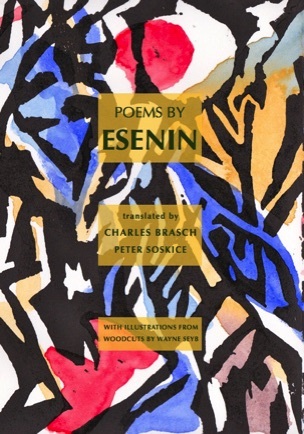 For this new edition of “Poems by Esenin” Cold Hub Press has commissioned artist Wayne Seyb to create not just a new cover image, but a set of nine woodcuts to accompany the poems. Wayne Seyb has exhibited widely throughout New Zealand. 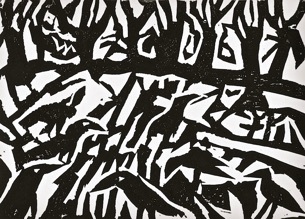 In 2011, Broken Shadows, a chapbook of his poems and woodcuts, was published by Cold Hub Press. “Esenin lived life as a folk tale. He was Prince Ivan who flew over the ocean on a gray wolf and caught the Firebird Isadora Duncan by the tail. He wrote his poems by fairy-tale means, sometimes as if from cards dealt out for a game of solitaire of words, sometimes in his heart's blood. What was most precious about him –– the depiction of the nature of his homeland, its woodlands, Central Russia, Ryazan –– he passed along with a stunning freshness the way it had been given to him in childhood.” –– Boris Pasternak, “An autobiographical sketch” (translation J. Kates). Is glistening on a nettle. My back against a willow. Straight on our cottage roof. The song of a nightingale. As in winter by the stove.